As an independent power producer, Chickahominy would sell its power directly to the PJM Interconnection wholesale market. Located just over half a mile east of the intersection of Chambers and Roxbury Roads, the project’s 185-acre site surrounds Dominion Energy’s existing Chickahominy Substation and is crossed by two of Dominion’s transmission lines and a Virginia Natural Gas pipeline. If all three facilities are built, Charles City County will become one of Virginia’s biggest power producers, according to data collected by DEQ. “Geography has dictated this sudden surge of interest in Charles City County,” Coada said. Besides emitting significant amounts of greenhouse gases, he said, the plant would consume a large amount of Virginia Natural Gas’ supply to the region, which VNG has indicated is constrained. Furthermore, Hadwin questioned whether the demand exists in Virginia for two new major natural gas plants. 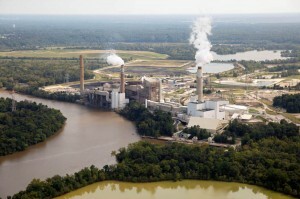 The comment period for the VA-DEQ’s draft permit for the Chickahominy Power Station ended on March 20, 2019. 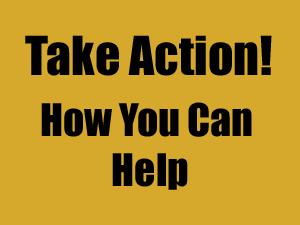 On behalf of the Blue Ridge Environmental Defense League and our members in the Commonwealth of Virginia, I write to provide comments on the permit for the proposed Chickahominy Power facility in Charles City County. For the reasons detailed below, we oppose the permitting of this facility. Combined cycle units that utilize heat recovery steam generators have an efficiency of 38 to 60 percent. This means that from 40 to 62 percent of the fuel burned produces no electric power. But air pollution and global warming gases are created by combustion whether power is produced or not. 1 CPLLC’s August 24, 2017 Application amends CPLLC’s April 5, 2017 Application, which replaced CPLLC’s initial March 13, 2017 Application. The August 24, 2017 filing also amends Exhibit I, Responses to 20 VAC 5-302- 20. On April 13, 2017, CPLLC filed supplemental Exhibit 4 to its Application, a map identifying the location of the proposed facility for notice purposes. On August 16, 2017, CPLLC filed supplemental Exhibit 5, a July 2017 Environmental Assessment of the Project Site. CPLLC identifies 1,650 MW as the net nominal generating capacity of the proposed Facility at 95 degrees Fahrenheit ambient temperature. Available emissions data indicate that the turbine’s operating load has a considerable effect on the resulting emission levels. The products of incomplete production—carbon monoxide and PM-10—increase with reduced operating loads. Before issuing this permit, the DEQ must assess the impacts of operating factors. Best available control technology for criteria pollutants and maximum achievable control technology for hazardous air pollutants are the standards which must be required for the Chickahominy Power plant. Natural gas is not a “bridge fuel” because it does not reduce the emissions of greenhouse gases. Walter Fauntroy, District of Columbia Congressional Delegate to Congress, prompted the General Accounting Office to investigate environmental justice issues. The GAO released its findings that three-quarters of the hazardous waste landfill sites in eight southeastern states were located in primarily poor, African American and Latino communities. United Church of Christ’s Commission for Racial Justice published Toxic Wastes and Race in the United States, which revealed that race was the single most important factor in determining where toxic facilities were located, and that it was the intentional result of local, state and federal land-use policies. State law is clear in this matter. Todate, the county the Planning Commission and the State Corporation Commission have failed with respect to its statutory obligation to ensure that the Chickahominy Power plant does not have a disproportionate impact on Charles City County’s African American community. Unless and until state law in complied with, DEQ cannot approve this permit. The Virginia Department of Environmental Quality lacks adequate regulatory basis for this facility and cannot issue a permit for the Chickahominy Power plant until the applicant demonstrates it has met all statutory requirements.